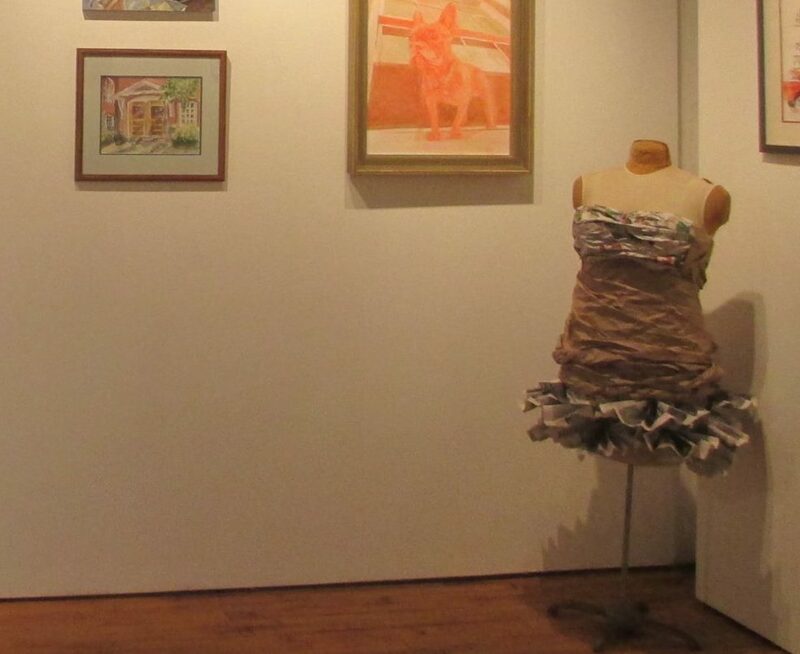 This dress was created for a local art show about the history of the building, now turned into artist studios, but once a shirt factory. My grandmother worked in this building a long time ago, so it holds some special meaning to me. I chose recycled materials, and created this dress out of brown packing paper and newspaper. The dress was created on a very old dress form that my grandmother found at a garage sale. This is currently on exhibit at The Shirt Factory Gallery until September 27, 2014. For whatever reason, I cannot find pictures of the dress that I took before bringing it to the gallery, of course. If I find them I will post them. This is the picture at the gallery, which doesn’t show a whole lot of detail.